Achievements: Has won a total of 28 ranking and 73 professional tournaments in his career. That's 73 wins from 100 finals! His most important wins are the six World Championships, six UK Championships and three Masters. He was the No.1 player in the eighties, before Hendry came along. 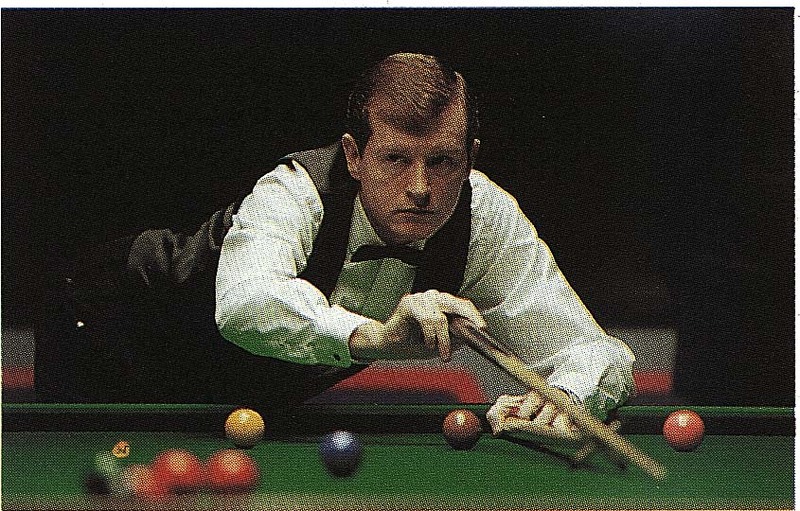 Davis was the first to make a ratified maximum break in a major tournament who had a break of 147 against John Spencer in the Lada Classic at Oldham, Greater Manchester on 11 Jan 1982. Three consecutive century breaks were first compiled in a major tournament by this guy; 108, 101 and 104 at Stoke-on-Trent, Staffs on 10 Sep 1988. Davis is one of only five players to win both the World Championship and the UK Championship in the same year. Stephen Hendry, John Parrott, John Higgins and Ronnie O'Sullivan are the others. Together with Stephen Hendry and John Higgins he is also the only one to hold the World, UK and Masters titles at the same time. In 2013 he won the 888casino.com World Seniors Championship.